Zari Hassan says Diamond Platnumz may attend the party scheduled for Thursday. File photo. The Zari All White Party is back. The all-white affair which is in its sixth edition this year makes a return after taking a break last year. According to Zari, the party will return with a bang as she has lined up lots of entertainment for the event. 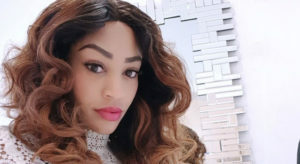 Addressing journalists on Monday, Zari confirmed that she will be jetting in South African female deejay, DJ Zinhle for the party and she is expected in the country on Wednesday. She further noted that she is also planning to have her fiancee and Tanzanian sensational singer Diamond Platnumz grace the party. “I am looking at having an artiste at the party. I am talking to Diamond Platnumz and if his schedule allows, he will be partying with us,” she noted. Widely regarded as the most glamorous end of year event on Uganda’s party calendar, the All White Party will be held this Thursday, December 21 at Club Guvnor and promises a night full of elegance, luxury, style and entertainment like no other. Meanwhile, Ciroc is yet again partnering with the All White Party, and the Uganda Breweries Reserve and IPS Manager Roger Agamba said Ciroc was pleased to be on board.